Folds Into Self-Contained Pouch With Drawstring Closure For Convenient Storage. These Foldaway Tote Bags fold into a small self-contained pouch with a drawstring closure for convenience. These bags are made with durable 210D polyester and are great for re-using as small grocery bags to reduce waste. 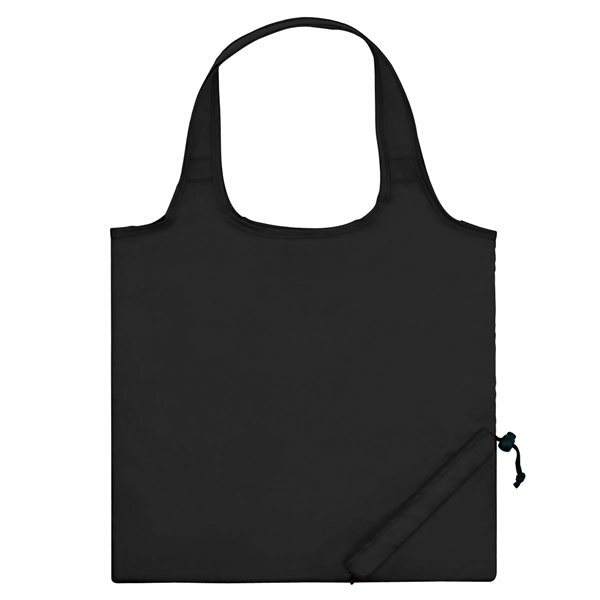 Screen printed with your custom design or logo on a 9" x 8" imprint area. Custom PMS colors are available. 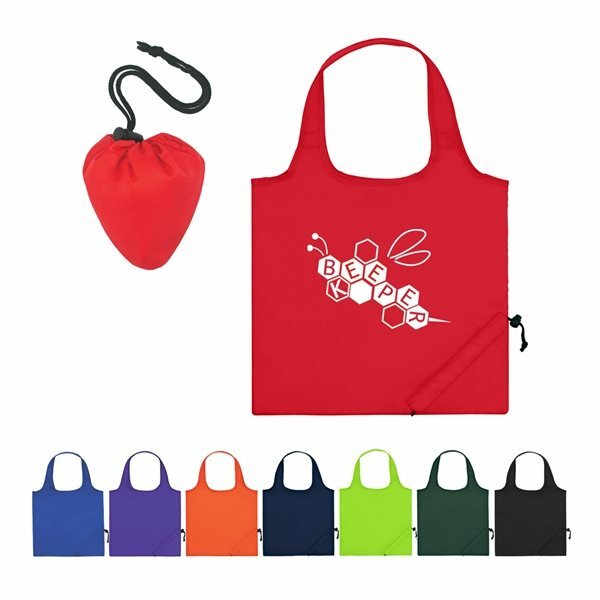 These Foldaway Totes are available in eight different colors, including royal blue, red, purple, and lime green. 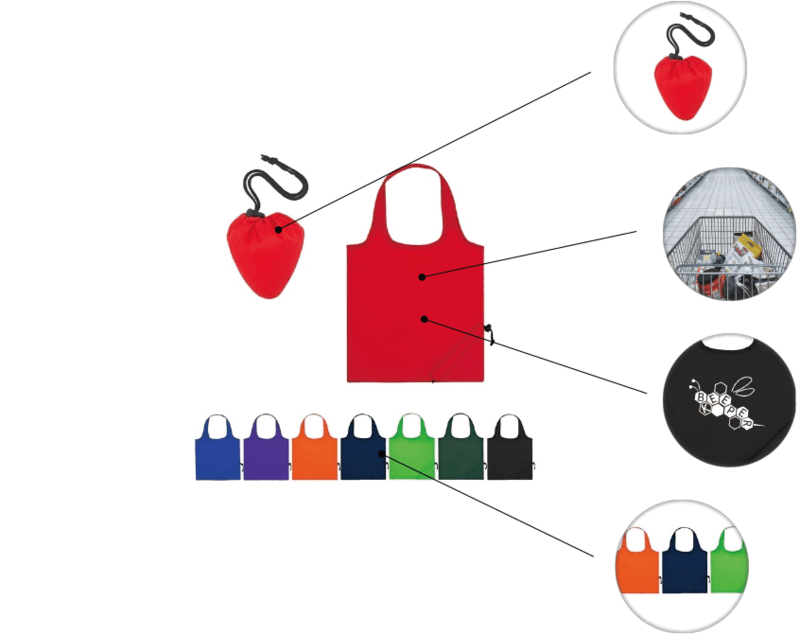 These bags look great. The imprint space is very large. The fold up corner makes them extra cool. If I order again I'll probably order a larger size. Overall, I was very satisfied with my order. Thank you. It had been a great deal heavier than I figured it might be, that is great. But what was more interesting to me were the scents available and the great service AnyPromo' sales rep provided. Precisely what we purchased. Imprint was great.